People around the globe teach a lot of Scrum classes, workshops and formal business education programs. Some of them use this simulation. The most inspired ones are sending us their reports, blog posts and photos. Check this out! Have a report or a variant to share? 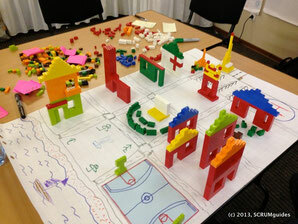 Share it with us at info@lego4scrum.com and we'll get it published.